Apple Butter & Shugie's name comes from the combination of our two most popular stores. Apple Butter because owner and founder, Janie Kerr, was a teacher for 15 years and received numerous apple gifts from her students. Shugie's because she wanted it to be fun and funky, so we named it after our Shih Tzu, Sugar Babie. 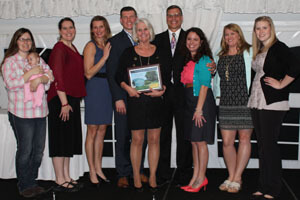 Janie started Apple Butter back in 1987 when she was given the responsibility of fundraising for the Illinois Cheerleading Coaches Association. She was the state vendor for 28 years. In 1992, she opened her first brick and mortar store and has been going ever since. Stu joined her in their family owned retail in 2000 when he retired from Commonwealth Edison and opened Shugie's. In 2008, they decided to put the two stores under one roof so they would be available to help babysit their grandchildren. As you browse through our website, we believe you will find that we have something for everyone on your gift giving list. As many say when they check out: "I knew I would find it here!" Janie and Stu Kerr are proud members of the Chamber of Commerce and the Morris Retail Association. In August 2015, Apple Butter & Shugie's traveled to New York City for the REA Awards for Gifts and Dec. Magazine. They placed in the top three in the event category. In November 2015, they were listed as one of the top 25 stores in the USA by Gifts & Dec. Magazine. 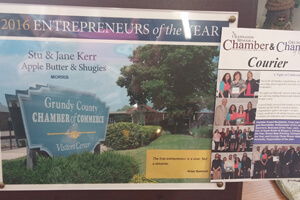 Then in March 2016, they were voted Entrepreneur of the Year in Grundy County by the Chamber of Commerce. Bailey and Cooper Kerr are one of the most popular attractions on Liberty St. 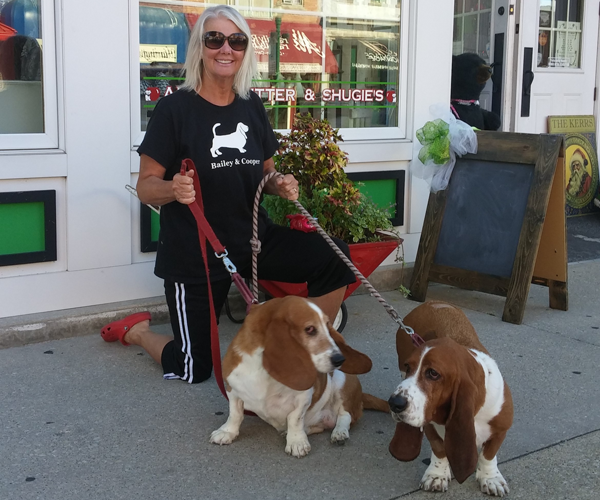 They are Jane and Stu's basset hounds that were rescued through Guardian Angel Basset Rescue. 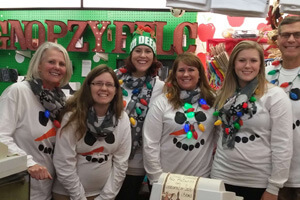 They come to work every day with the Kerrs, and are fondly referred to as managers of the store. Customers often say, "We just had to stop in and see the dogs." Stop by and see them, they will capture your heart!